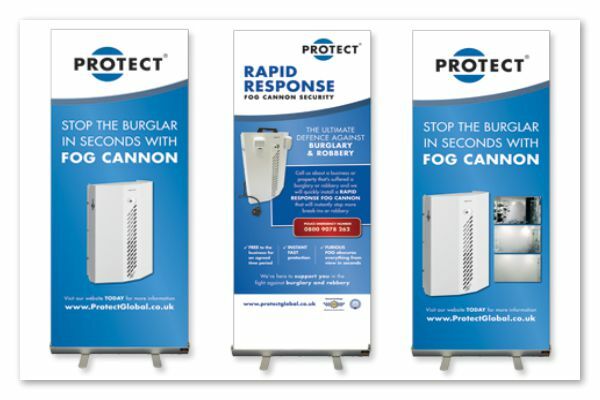 A modern addition to our 'ready-to-print' display range is our roller banners, also know as pop-up banners and pull-up stands. The benefit from this type of low cost sign display, is the fact that it's great for promotions, exhibitions and general advertising use for a variety of businesses, schools, colleges and universities. The digital print is housed in a metal cassette with twist out feet, which allows the banner to be pulled out and then retract back into it for easy storage. It is easily erected and fixed into place at a moment's notice by the use of a rear telescopic rod, quite a handy thing! 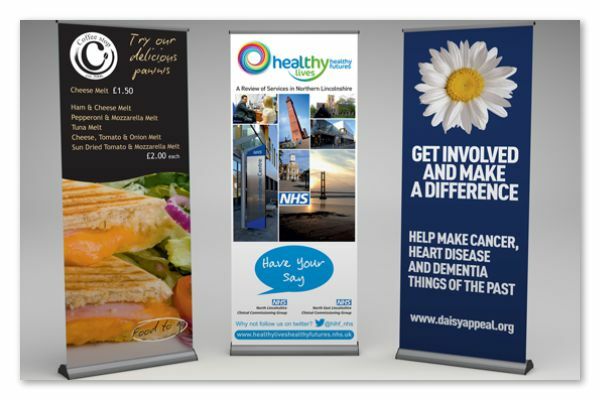 We supply our roller banners to a vast range of establishments all across Norfolk, Norwich and beyond. We can offer assistance with creating a bespoke design or layout that conveys your special message or advertisement. Once the layout is approved we then set to work in digitally printing the banner in stunning full CMYK colour, using solvent outdoor grade inks on a special 280 micron PVC based material. Once the print has cured for a minimum of 24 hours we then protect the graphic with a gloss or satin UV stable laminate. Laminating the banner not only makes the printed image really 'pop' visually it also protects against general every day wear and tear and prevents the material from scratching every time you unwind and retract from the metal cassette housing. We'd like to think we take the extra step, to ensure a very high quality roller banner that can be enjoyed for many years. 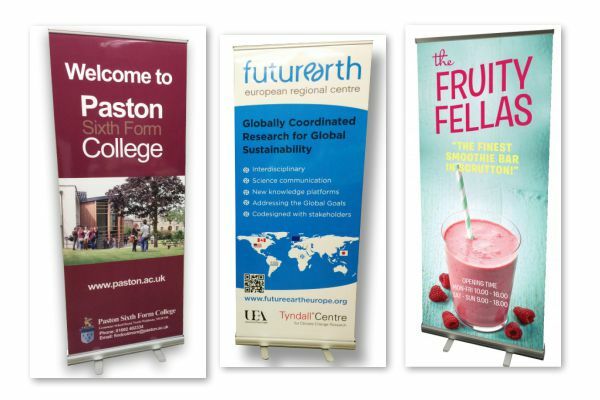 There are a variety of sizes we can offer when considering your roller banners. Nearly all of our sizes finish at 2m tall and come in a variety of widths, but most common is 80cm wide. 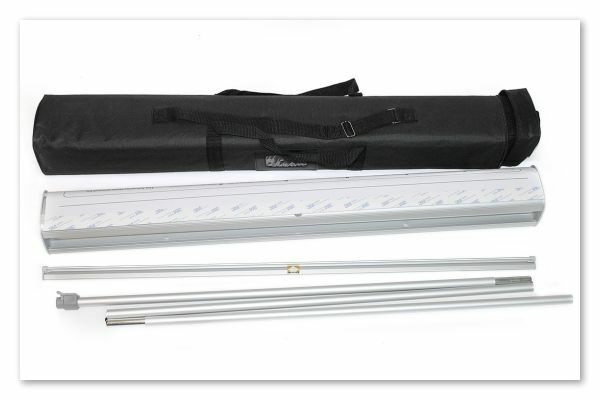 We can go up to 120cm wide with good results and the finished product is complimented with a sturdy carry case that makes transportation a breeze. They've proven very popular, as it's a quick and economical way of promoting any business or event with a professional look. We can occasionally turn around orders within 48hrs from agreed artwork, just ask. If you'd like to know more about our roller and pop-up banner printing services in Norwich, Norfolk, then please feel free to send us an email or by giving us a call on 01692 402423 and we'll be happy to discuss the simple steps required in creating a personalised order just for you.